Prettymuch you can kiss the concept of meta tags (or keywords) good-bye. Asit turns out, the days are done for encoding meta tags into the sourcecode of your site. Google simply does not place value on them anymore. Now that’s not to say that placing keywords in otherparts of the source code is not important. Key words should appear inat least 3% of the total content of your website. In addition, Iencourage the use of keywords to name your web page and image files. Forinstance instead of using the generic aboutus.html or services.html,name your files to denote your company name or specific service. So let’s take a guy named Joe, who owns a Crab Shack inNewport Beach. I would suggest to Joe that he use joes-crab-shack.htmlinstead of aboutus.html, or fine-sea-food-dining-in-Newport.htmlinstead of services.html. For images, instead of pic01.jpg bemore specific and use files names such as crab-cake-with-fries.jpg. These tactics will help you climbthe search engine ranking, but be mindful of your nearby competition.Knowing Newport Beach, there are other seafood places there that arevery good and equally priced. They also may be using the same keywordsJoe may be using for his website, as well as following the same tacticsmentioned above. So what may help Joeovercome his competitors when it comes to search engine rankings? Simply maintain a lively site that is always changing content! Hereis how to achieve that and have fun at the same time. Blogging is considered to be a website’s best friend. Why? Because it is the easiest way to keep content flowing which is heavily favored by the search engines. You don’t need a web master to write for you. It is as simple as logging in, entering the content, saving it, and your content is updated.The popular software used for blogging is WordPress, others include Blogger, TypePad, Blogware, and Expression Engine. I highly suggest making sure that whatever software you use for blogging, that it is installed in your web server and under your domain name. So you should see, http://www.your-website.com/blogs/ or http://blogs.your-website.com/. Having a site outside of your domain name is okay except that the search engines will give credit for the number of visits to blogging domain and not to your own, which will not help you the search engine rankings. You can find my blog at http://blog.webtipstv.com for all the info on improving your Internet strategy. Okay so you may not to blog because you are simply too busy or just may not want to. If that is the case then I suggest finding a way so that other people’s articles can magically appear on your website.This is the magic of RSS feeds, which automatically updates news and articles about a topic. A great source is Yahoo News Groups. Just log in to http://news.yahoo.com/page/rss and you will find an entire library of events and news sources. Now the trick is to have the news feeds appear on your website. That requires special coding. Your webmaster should be able to help you there. Otherwise contact me and I will be happy to assist. Remember the song, ‘Video killed the Radio Star.’ That was the first song ever played when MTV launched. Now it’s ‘Video Killed the plain boring websites.’Adding video to your website, especially if the same video is uploaded to YouTube, will certainly help your search rankings. Of course, the video has to be fun and entertaining. Create a bunch of videos. Not just one. A lively site is a site the search engines are looking for. Give a reason for your audience to keep coming back. Any questions feel free to contact me at jimh@crystaldi.com. So you’re concerned about search engine rankings? You’ve read books, listened to so-called expert advice, and urged your Webmaster to add the correct Meta tags. You’ve established a monthly budget for a pay-per-click campaign only to realize you could have used those same dollars to pay ‘other’ bills. Some of you paid SEO companies who promised results only to fall short of the glory. End result: Your website’s search engine placement is less than satisfactory. Enough of those ‘damn’ search engines! Obtaining high a ranking is too competitive to rely on traditional search submissions. Why? Because everyone is doing it! Let’s take an example of a profession that’s very competitive on the search engine scene, divorce attorneys. Their websites may have Meta tags such as: divorce, child support, visitation rights, property settlements, restraining orders, family law, and whatever else makes divorce attorneys…divorce attorneys. As we all know, there are too many divorce attorneys! Just ask the marriage counselors. So the question is, if all competitors in the same profession use similar tags embedded into their code, how does a business get ahead in the search rankings? The easy (and costly) answer is to utilize a Pay Per Click system like Ad Words. Set a budget and see how you fair against your competitors. The more you pay, the higher up you are ranked. That leads to another question. Regardless of your site’s ranking, how many visitors end up as clients? What is your Return of Investment? We all know of the old real estate cliché that the value of a home depends on three factors: location, location, and location. The value of a website depends on database, database, and database. Build a database with as many names and emails as possible. The website, ‘ivillage.com’ sold to NBC for $50 million because they managed to collect a number of names and emails almost equal to the price tag. If your website depends on advertisement revenues, you’ll want high numbers in your database and ‘constant’ communication with those on the database in the form of mass e-mailings. Major advertisers won’t even consider advertisement on your website unless your ranking is high up on the ‘www.alexa.com’ scale. Even local ‘small town’ businesses have their standards. Have your Webmaster add a ‘name / email opt-in’ somewhere on the website, usually the upper right hand corner of a page. Have the data transferred via email (where it can be collected and stored using a tool like Microsoft Excel) or database. There are third party programs that can generate code to add to your website so that once a name or email is entered, the data is stored within that program’s database. Just Google ‘mass email’ and you’ll find many websites such as ‘ConstantContact.com’ and ‘icontact.com’ that offers this service for a monthly fee. Any sales or marketing professional will tell you that referrals are the best source for closing deals on prospective clients. Add a “Refer this Page” function on all pages of your website. When clicked on, this “Refer this Page” link leads to a page with at least four fields: (1) Sender’s Name (2) Sender’s Email (3) Recipient’s Name (4) Recipient’s Name. In addition, the full web address of the referring page should be displayed. Once submitted, the recipient will receive the email as it was sent from the ‘sender’ and not the website! This strategy is less intrusive, more personable, and works better than blindly sending out email as if you are spamming! For an example of the “Refer this page” functionality, go to www.crystaldiwebdesign.com and view the top menu. If interested in obtaining files to create the “Refer this Page’ function, email me at jimh@crystaldi.com and I will be happy to send you the files for your Webmaster to install. Create a company profile within the major social networking sites such as Facebook, MySpace, Twitter, LinkedIn, and YouTube. Why? It allows you to (1) build a ‘friends’ list and build it big! (2) Notifications about your business can be instantly seen by the members of your friend’s list without the need to send emails. (3) If you wish to send emails, these sites have features for sending mass emails easily. And best of all, (4) these social networking sites are FREE. Which Social Networking site is right for you? Depends on your target audience. If a business caters to a younger audience (selling T-Shirts, ski gears, iPods, bubble gum, computer parts) then My Space profile should be established. If a business caters to other businesses or a mature crowd, then Face Book should be the focused social networking site. Twittering? Do you like being followed via cell phone text messaging? That’s what Twittering is all about. The service does not necessarily cater to businesses, but great if you’re an entertainer, coach, teacher, or just keeping touch with friends. Better than the paparazzi. Yes, you can establish social networking within on your own site, allowing your audience to build a friend’s list, upload videos, exchange pictures, instant message, and everything else FaceBook or MySpace offers…all under your own web address! This is great idea for sites catering to like-minded people sharing a hobby or passion. For example, if your website represents a non-profit for animal rights, creating a social networking platform allows for a gathering of animal lovers to share stories about the pets they’ve rescued and the hunters they’ve scared off. Being that this is part of your website you set the rules, decide who comes in and who is banned. You can create the topics of discussion as well. Most important, it’s a traffic generator and search engines will reward you for it. Sites that offer social networking applications to add to your own websites include (1) www.kickapps.com (2). www.ning.com. Marketplace Integration: Google it? No, Ebay it! If you are selling products online, you should have a shopping cart established. Many owners of websites which sell products online seem to be very focused search results and rightly so. However, it’s important to note that most people browsing Google and Yahoo are there for mainly research, or the ‘just looking’ crowd that walk in a store and then walk out. Focus on placing products where the customers are ready pull out their credit cards. Add your products on Ebay, Amazon, Shop.com, PriceGrabber, Yahoo Shopping, etc. This is where the shoppers are. More money is exchanged through online marketplaces in a year than the stock exchange! The money is flowing on these sites, use it and offer discounts. Allowing people to discuss topics amongst themselves is a major attraction. People love to express their opinions and writing online is the best way to just that. Blogging usually begins with an author writing an article within a blog application and promoting it for discussion. Visit a website for a major news organization (like abcnews.com) and see for yourself. Discussion Boards are similar only that it does not require an article, just simple discussion. Chat rooms are great for live interactions on a topic. 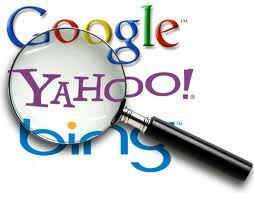 Many of these applications can be searched on Google and can be installed free. If a healthy exchange is maintained, the audience keeps coming back. The future of the web (and it probably already here) is video and audio. If you can decrease the amount of verbiage within your site and just allow people to listen or watch, that’s as user friendly as you can get. Create a mini-infomercial about your products or services and place them on YouTube, FaceBook, or MySpace. Include them within a video blog software for your audience to view and comment. Studies show that people read content on web pages 20% slower then on print. Your audience will appreciate you saving their sore eyes from scanning words by installing good videos! Build your audience and the search engine rankings will follow. If I can answer any questions to you, email me at jimh@crystaldi.com. It only means you are #1 on Google. Being on top of the searches is one thing, people entering your website is a different matter. We researched the volume of traffic entering Yanai’s website and found that only 50 visitors a month enter his website. Weak! Businesses should take responsibility for their web site’s performance on search engines. Three important things to do: (1) submit your site; (2) Monitor your site’s traffic; (3) and generate traffic from different sources. Start an account on Google.com. They have great tools to help you monitor your site performance. Select the most popular keywords to embed into your website. Note, I mentioned popular keywords! Log onto https://adwords.google.com/select/KeywordToolExternal’ and select words that pertain to your website and searched by high volume of people. Then have your Webmaster add those terms into the ‘title tag’ and ‘content’ on your website’s homepage. These are the big three. We all know about Google and Yahoo, but what is DMOZ? DMOZ is the ‘Open Directory Project’. Why so important? Because Google gets much of it’s information from this site. So we now operate in a global economy. However, Yanai is a hairstylist in Beverly Hills. What good does it do if his site appears in a Tokyo search results? Unless he’s committed to traveling across the ocean to give a haircut for some serious cash and authentic sushi, it’s unlikely to help him. Within your Google account, click on “Local Business Center” icon and follow the instructions. Google will list your company name within their directory, so if someone type’s in Beverly Hills curly hair stylist, Google will supply Yanai with a map to his business location, contact number, and he can upload videos and reviews. Why? Because Google likes to know about the different pages on your website and whatever Google likes, you must comply. A site map is a file that identifies the files within your website faster and more efficiently. To generate a site map go to ‘http://www.xml-sitemaps.com/’. Follow the instructions and download your site map. The file should have an extention, ‘.xml’ like sitemap.xml. Upload the site map to your website directory. Then log into your Google account, click on ‘webmaster tools’ and follow the instructions to submit your sitemap. MONITOR THE WEBSITE TRAFFIC, YOURSELF! That’s right monitor the traffic yourself. Do not rely on Webmasters. Analytics is the only online tool you need to analyze your website traffic. Log in to your Google account and click on Google Analytics link. Follow the instructions there to generate the code for you or your Webmaster to install into as many web pages you want to monitor. Not just for webmasters, these tools will monitor the efficiency of your website. Most people are not aware that Google looks for sites that are clean and free of errors such as missing pages and bad links. Time Out – If page appears there, seconds later not there! Don’t just rely on Google or Yahoo for web traffic. You need to do whatever it takes to generate traffic to generate business. Here is a list of possible ways to increase traffic to your website. Social Networking Sites: Go on Facebook, Twitter, and MySpace to network, network, network! These are great places to communicate news and information regarding your company. Mass Email: Build an email list of names and emails. Then, when possible, send out emails and be sure to include a link back to your website. Pay for an ad on a large email list. While most companies will not share list, ask that company if, for a fee, you can add a banner or some verbiage that links back to your site. Radio / TV / Newspaper: Publicize your website. If you have the money, use these. I hope this article helps. If I can be of service or if you need any more information feel free to email me at jimh@crystaldi.com.